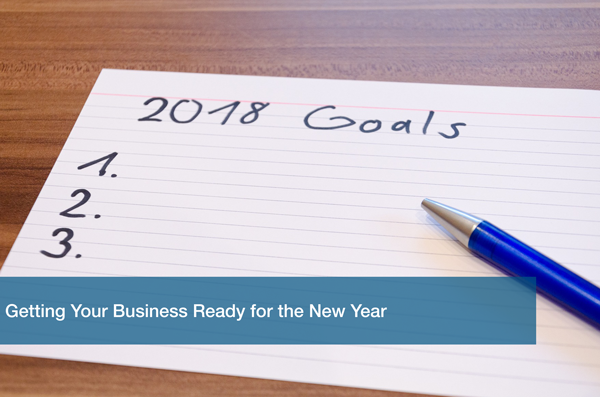 You don’t have to wait until the end of the year to set new goals for your business. You can start by keeping track of ideas that come up during the year. That way you already know what to plan for. Setting realistic goals for your business can be tricky. Everyone wants to grow their sales immediately, but it takes time and some planning to get there. As 2017 comes to a close we start asking ourselves “How can we improve our business for next year?” Whether it’s finding a new IT partner or finally finishing that project, here are some ways that businesses can get ready for the new year. As technology changes, we find new tools and ways of doing things in business. The start of the year is a great time to try out a new tool for your work or find a new marketing strategy that will yield better results. Starting fresh can help bring new ideas to the table. You can phase out some Facebook ads that will run for the next 3 months or plan out when new content comes out so there’s always something new for people to enjoy. Honestly, we don’t know why, but this is something that we look forward to at the end of the year. Rearranging your space can help if you are stuck in a rut or want a little change of scenery. Even if you are just cleaning out your desk, this can impact your productivity moving forward. At our office, we are able to move around and sometimes that small change of scenery helps. Try moving your stuff around to a more suitable space or position and see how the new ideas start to flow! Of course, you should take some time off!! Let your brain unwind for a bit so it can come back fresh in the new year! Some people don’t like taking vacations. Others can only be away for so long before they have to check in on their laptop. Give yourself the chance to unplug and step away. Say it with me: vacations are good and much needed! Also, you can’t let that good ol’ PTO go to waste!! At ITC we are currently ensuring that all our clients are set technology wise for the new year. We like to consult them on new strategies to make sure they are on the path they need to be for greater success. What are your current plans for the new year? Is your business ready to grow even more? Connect with us on our social and let us know!! If you think your IT is lacking and want to kick-start it for 2018, give us a call and we’ll help you create an IT strategy that’ll take your business to the next level!